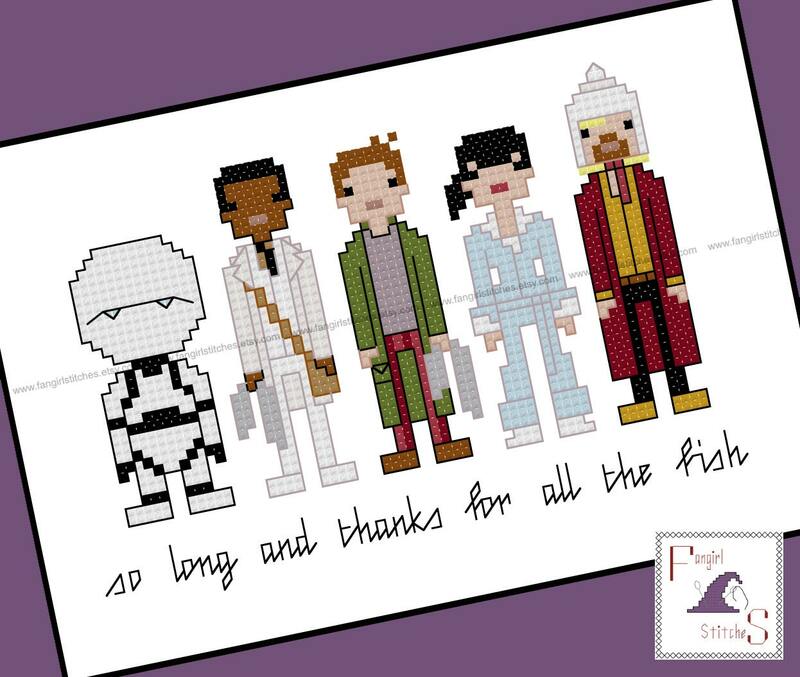 "So long and thanks for all the fish. So sad that it should come to this. 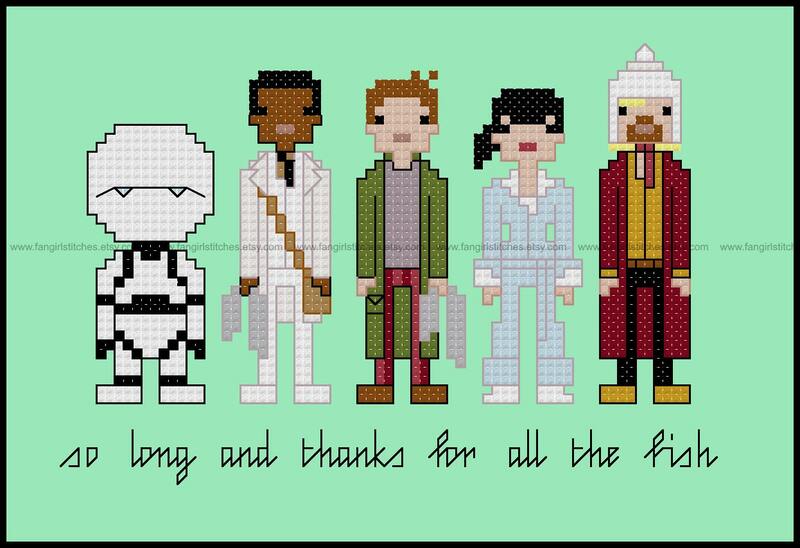 We tried to warn you all, but oh dear..."
This cross stitch pattern features the cast of the feature film "The Hitchhiker's Guide To The Galaxy", based on the books by the late great Douglas Adams. If you'd like a different quote on your piece (there are so many, it's hard to chose just one! ), why not request a customised pattern?! 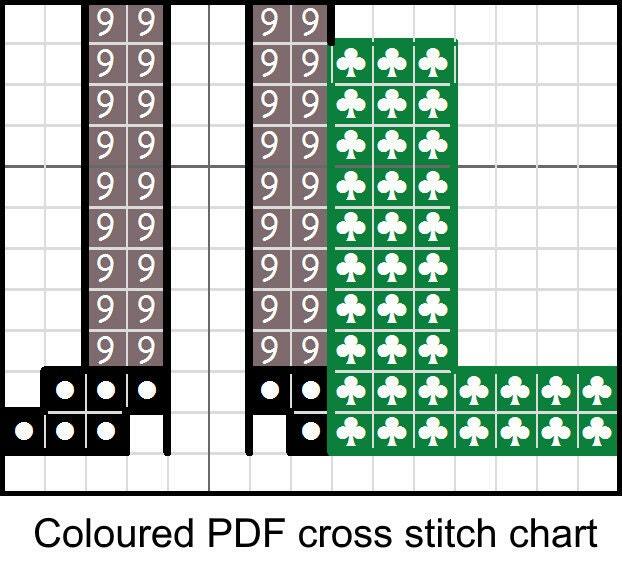 This design includes whole stitch and back stitch, and is suitable for beginners. This is a parody (inspirational) work. 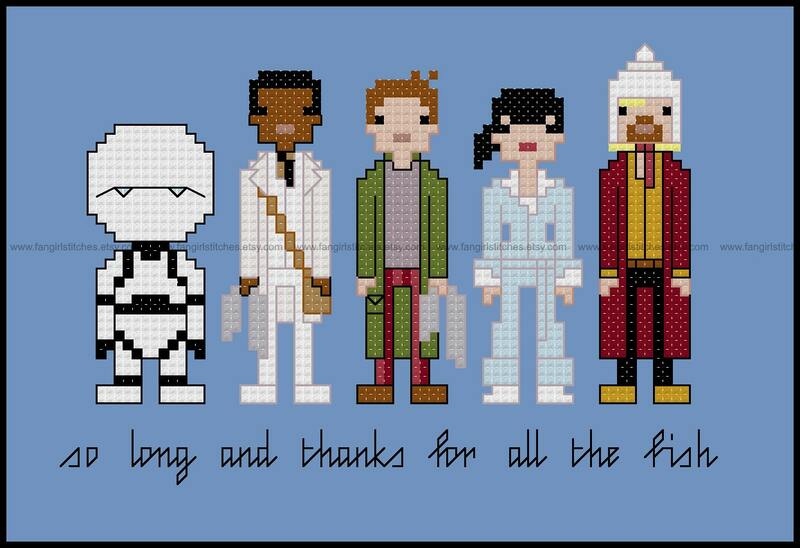 "Hitchhiker's Guide to the Galaxy" and its characters are the property of Douglas Adams. This production is not sponsored, endorsed by or affiliated with Douglas Adams or any of his subsidiaries or affiliated companies and/or third party licensors.